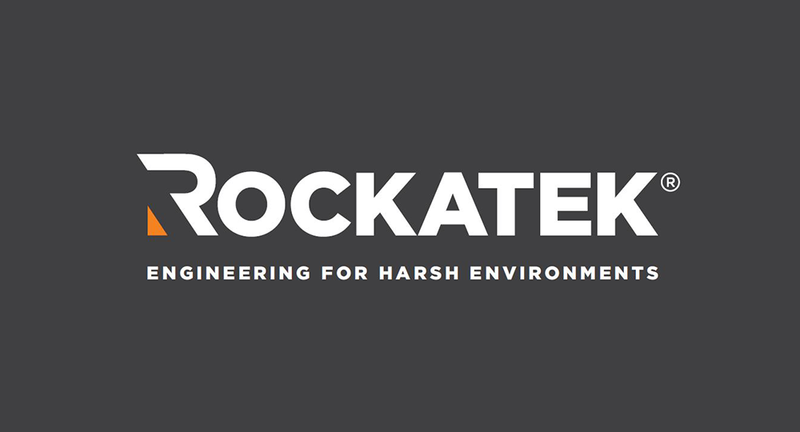 Rockatek Ltd, based in Cheltenham was established in 2016. Following the closure of a local Advanced Oil and Gas Engineering Company in Tewkesbury and blanket redundancy of its 75 employees in January 2017, three friends and work colleagues formed Rockatek, an Engineering Design, Analysis and Testing Consultancy. Still in its relative infancy, the business is building its client base and expanding its umbrella of expertise into multiple sectors including motorsport, aerospace, defense, structural, industrial, wind, geothermal and Oil and Gas. The aim is for Rockatek to become one of the leading Mechanical Engineering consultancies in the provision of R&D, detailed mechanical analysis and full-scale testing. But such ambition for a new start-up company brings with it many challenges. “Right from the start we knew that given time, Rockatek would successfully find its place in the Engineering and Manufacturing sector both locally, nationally and internationally. We have the technical skill set, ability, infrastructure and equipment to make the company a real success and a unique USP of offering what we call a 'complete and integrated Engineering approach'. By this we mean we can analyse, design AND test a client’s products. However, we knew from the get go one of our biggest challenges would be choosing the correct marketing strategy and executing it in a way to build the Rockatek brand and to build traction with the correct markets and clients. Generally, if we can get face to face with the senior level technical personnel within a company and if they have a specific need for services we can offer, we are successful in obtaining the work. We have built a solid reputation in the challenging Oil and Gas sector and with over 35 years combined experience in detailed Mechanical Engineering and management of multimillion dollar Engineering Projects. The level of transferrable skills to other relevant sectors including motorsport, defence, automotive, aerospace is significant. Our next biggest challenge was going to be the general day to day business strategy and management of a new company. Although we are all Chartered Mechanical Engineers with over 12 years of top level management experience, running our own company on a day to day basis was always going to be an entirely different proposition for many reasons. Being Engineers, we analyse everything to the finest detail when sometimes that level of detail may not be required. We knew our strategies for managing the non-technical aspects of the business including such things as the business financials, branding, social media and website may not be the most efficient or effective”. In the early stage of Rockatek’s life, the team knew that bringing in a resource with specific skills to help with marketing, brand awareness and general business management was critical to its short and long-term success. The Growth Hub has been able to support these critical areas with its navigator diagnostic, mentorship and signposting to the GAINS programs. Following the initial diagnostic session, Tina was able to accurately identify the best routes of support for the Rockatek team. This is where the 3 hour fully funded diagnostic is so valuable and it helps the Growth Hub experts clearly identify priority areas for support and make recommendations for the best next steps for a business. In the case of Rockatek, the need for mentoring and coaching was clearly defined and the client team were introduced to GAINS – a University of Gloucestershire funded project aimed specifically at providing coaching support for growth ambitious businesses. “GAINS has been fantastic. We were able to choose a business coach that would help with the marketing, sales and branding of Rockatek, the areas we knew we couldn’t maximise without specialist support. Debbie has helped us form a clear and concise strategic business plan, and focused our attention down to the key markets and clients who are most likely to require the services Rockatek can offer. She has also provided an invaluable ‘outside opinion and view’. Quite often, the three of us get quite blinkered in our approach to the general business strategy and direction. I think a big part is how busy we are with current projects and finding the time to sit back and reflect on how we are running the business. Debbie gives us a frank and direct opinion when she feels we are maybe doing things inefficiently or sometimes in the wrong priority order. She is a great sounding board for ideas and has a vast network of contacts who can help in areas of the business with which we are less experienced”. Looking to the immediate future, where does James see the focus and effort being placed? “We already have several live contracts that are generating revenue for Rockatek but we are in discussion with several clients regarding larger potential contacts that could keep Rockatek in business for the next 12 to 18 months. Once we have our marketing strategy nailed down and are able to track down even more clients and contracts, we see Rockatek growing relatively quickly over the next 3 to 5 years. We have a vast network of contacts from previous employment and when Rockatek is able, we would like to take on 3 to 5 employees to support the growing business. The other major area for Rockatek is potential funding and investment options to accelerate its growth and profitability”. And what of skills and support? “Right from the start we had the technical skill set in house to execute projects and deliver successful results to our clients. It’s what we do and have done our whole careers. Our biggest challenge is going to be finding the right clients for whom we can provide that service. Once we can do that and have secured contracts we will have to focus on recruitment and funding to support the business. With these issues, we will certainly refer to The Growth Hub for guidance. We would like Rockatek to become a main stay in the local Engineering and Manufacturing economy and help with employment of its residents where possible”. On reflection where does James see the real value that he’s received from The Growth Hub? “It’s great to have created our own business, however, creating and running your own business makes being an employee of a large corporation and managing departments within that corporation seem like a walk in the park. You cannot forget about the business after 5pm, you cannot forget about it at any time really, especially in the early days of the company as we are with Rockatek. In our experience, The Growth Hub is an effective and invaluable mechanism to support businesses that have a vision for growth and sustainability. The support and guidance that the team provides minimizes the risk that we as company directors and owners must manage every day. I’m sure as time goes on there will be other areas that we will speak to The Growth Hub about and we all look forward to maintaining a thriving relationship and between us growing the business successfully over the coming years”.